Whale watch off of Vancouver Island! 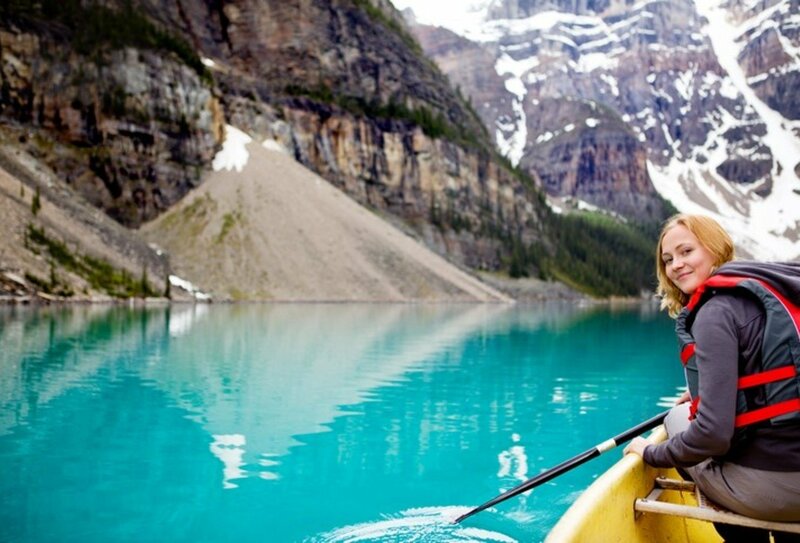 Have unforgettable adventures in the Canadian Rockies on this epic group tour! 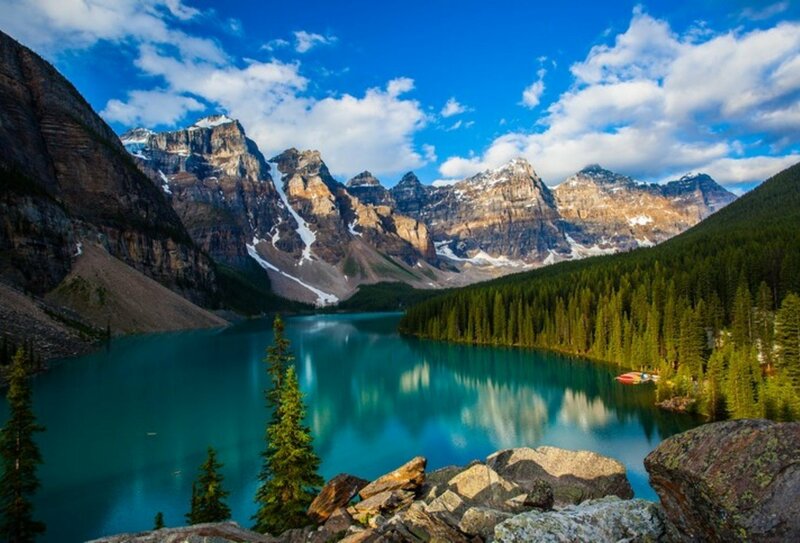 Explore Canada’s great outdoors and make new friends as you discover the rugged beauty of the Rocky Mountains. Hike and relax in amazing scenery as you see it all from Calgary to Vancouver. 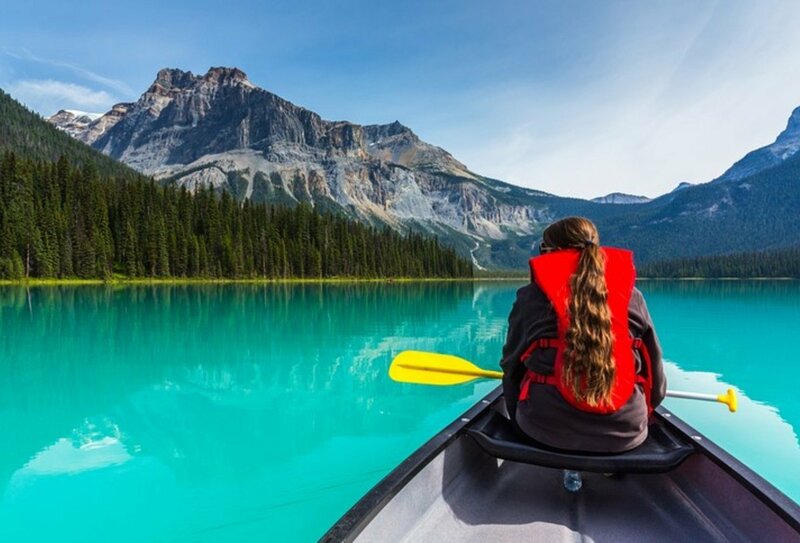 Camp out in the Canadian wilderness as you discover beautiful Banff, see amazing Lake Louise and go waterfall-spotting in Yoho National Park. Travel along the famous Icefield Parkway, hang out in Jasper, go canoeing in Wells Gray Park and wander around Whistler. Relax on Vancouver Island and go on a whale watching tour, before ending your wild Rockies adventure in the city of Vancouver. Have fun and adventures in Yoho National Park: Be awed by Takakkaw Falls and join an optional whitewater rafting thrill ride on Kicking Horse River! Day 1: Arrive in Calgary, Canada. Welcome to Canada! Arrive in Calgary, gateway to the Canadian Rockies. In the evening there will be a 1-hour welcome meeting. Get ready for 14 days of fun and exploration in Canada! Day 2: Calgary to Banff. A 6-8 hour drives takes you through stunning scenery to your first wilderness destination, the beautiful mountain town of Banff. Enjoy some free time to explore the breathtaking landscape around Banff. Lunch included. Day 3: Banff to Lake Louise. 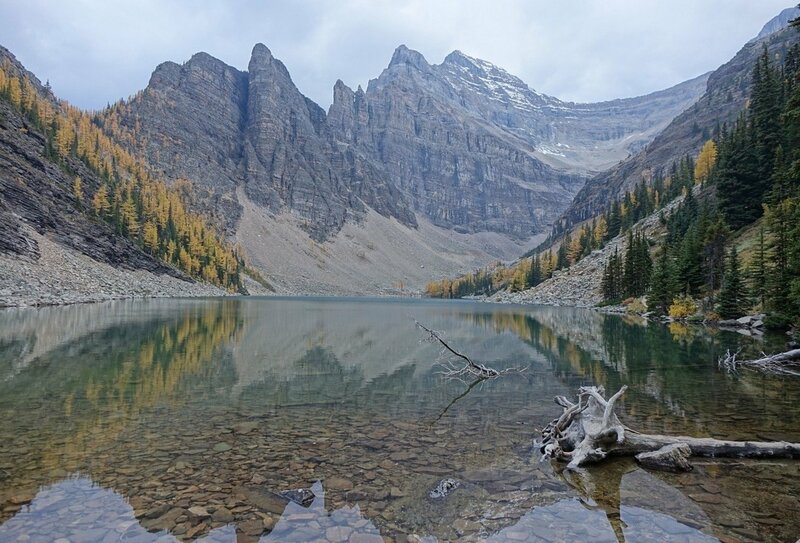 Marvel at the beauty of this tranquil lake and choose from two hiking routes, either to Lake Agnes or along the Plain of Six Glacier trail, or just relax and soak up the scenery. Breakfast, lunch and dinner included. Day 4: Lake Louise. Your next stop is Yoho National Park. Be awed by Takakkaw Falls and see unspoilt Emerald Lake. Join an optional whitewater rafting experience (CAD85-135) on Kicking Horse River. Breakfast, lunch and dinner included. Day 5: Lake Louise to Jasper. Travel along the Icefield Parkway through amazing mountain scenery. Visit Peyto Lake and explore Columbia Icefield Centre and the amazing Athabasca Glacier en route to Jasper. Breakfast, lunch and dinner included. Day 6: Jasper. Enjoy a short morning hike into the magnificent Maligne Canyon, where you’ll follow an interpretive trail and cross impressive bridges. The afternoon is free time for you to hang out in Jasper. Breakfast, lunch and dinner included. Day 7: Jasper to Wells Gray Park. 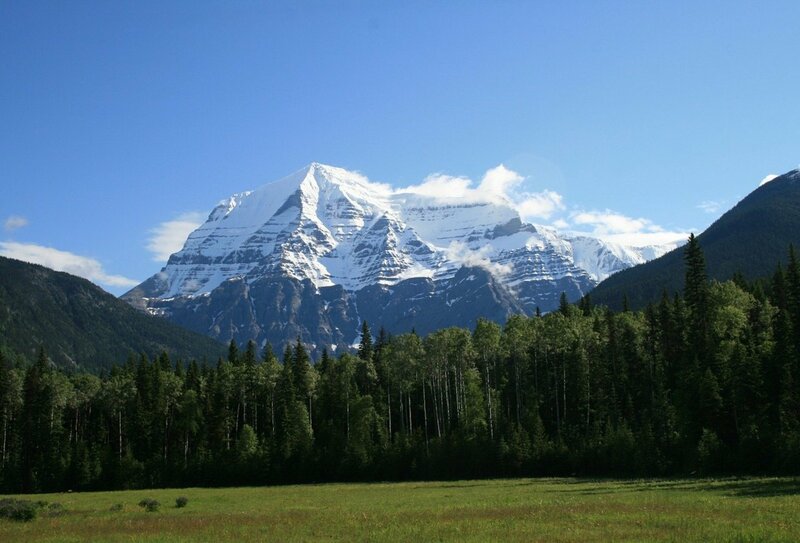 Stop off to see the Rockies’ tallest mountain, Mount Robson, on your way to beautiful Wells Gray Park. See the unusual Spahats Creek Falls and relax in this remote location. Breakfast, lunch and dinner included. Day 8: Wells Gray Park. Hop into a canoe for a full, fun day of exploring in the wilderness of Wells Gray Park with a local guide. Visit Dawson Falls and the world-famous Helmcken Falls. Breakfast, lunch and dinner included. 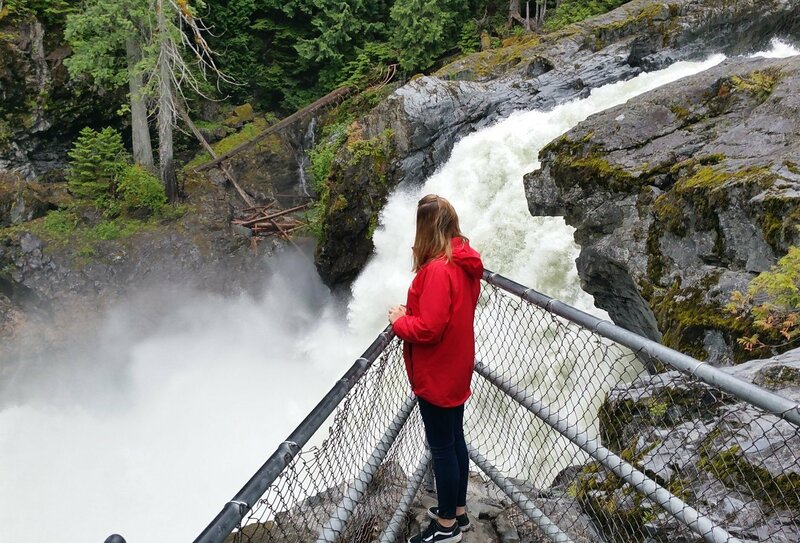 Day 9: Wells Gray Park to Whistler. 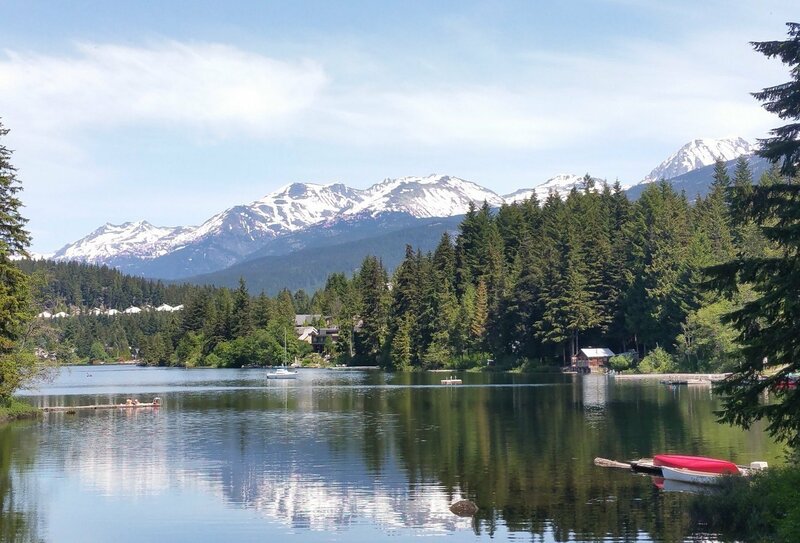 Travel via Marble Canyon Provincial Park and Turquoise Lake, through spectacular scenery and on into the mountain resort of Whistler. Breakfast, lunch and dinner included. Day 10: Whistler. 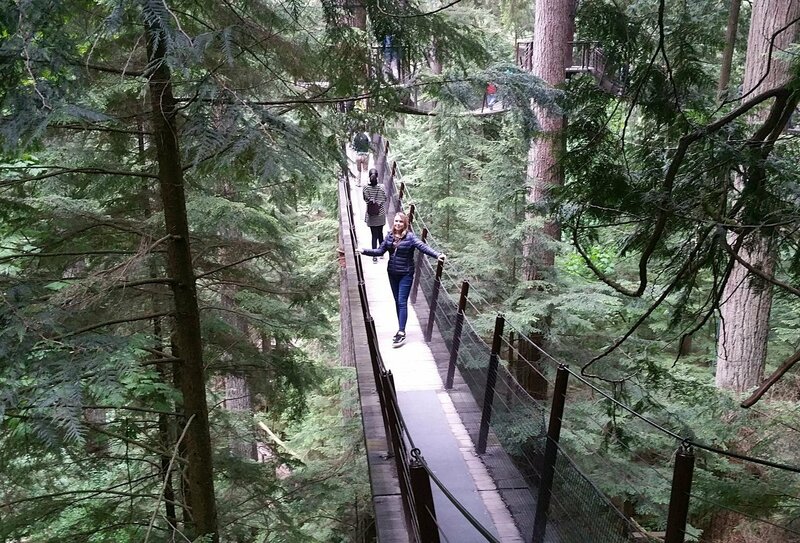 Try out Whistler’s hiking trails and see sights such as Stawamus Chief Mountain, Shannon Falls, Brandywine Falls or Cheakamus Lake, or simply relax and explore Whistler. Breakfast and lunch included. Day 11: Whistler to Tofino. Take a 2-hour ferry ride to Vancouver Island. Visit Coombs Old Country Market and see giant fir trees at MacMillan Provincial Park, before arriving for a sunset in Tofino. Breakfast and dinner included. Day 12: Tofino. Get ready for an unforgettable whale watching boat tour this morning! Keep watch for wonderful wildlife, including orca (killer) whales, gray whales, seals, sea lions and porpoise. Breakfast, lunch and dinner included. Day 13: Tofino to Victoria. 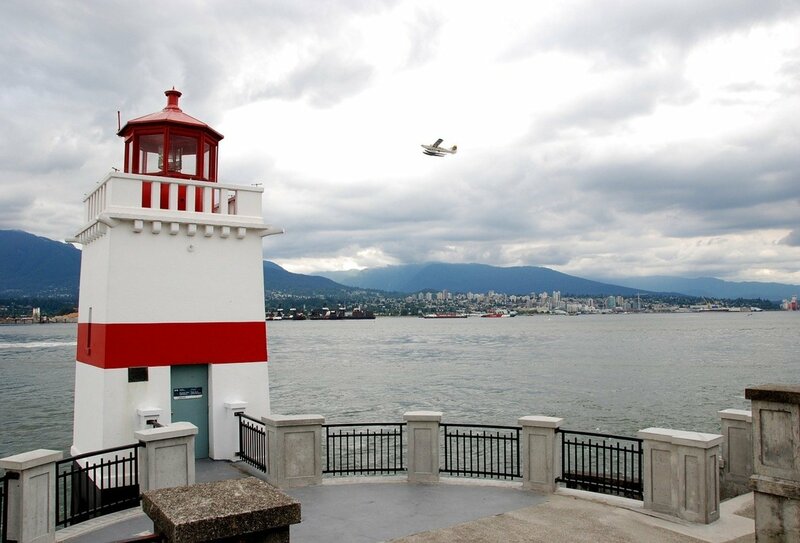 Travel the full length of beautiful Vancouver Island today, bound for Victoria, the capital of British Columbia. Stroll around this delightful city and spend some free time enjoying the lively vibe. Breakfast and lunch included. Day 14: Victoria to Vancouver. 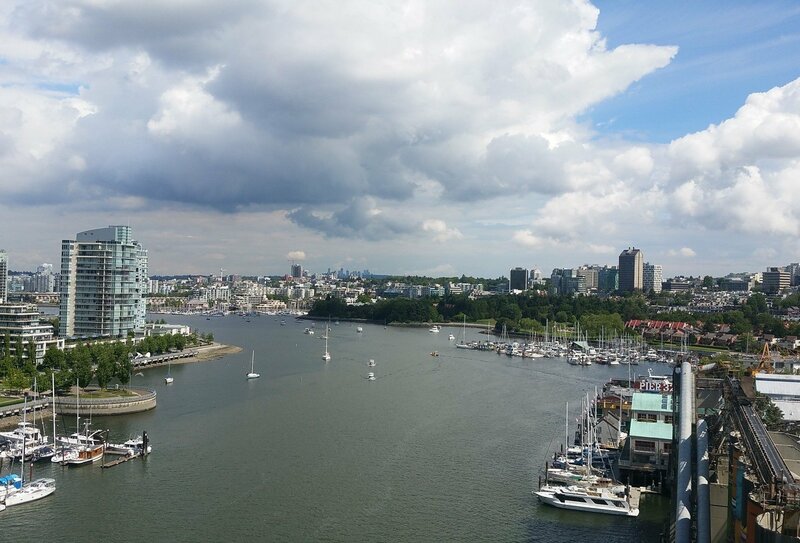 Hop on a ferry back to the mainland and the chilled city of Vancouver. The afternoon is free time. Your amazing 14-day Canadian tour comes to an end today in Vancouver and you are free to depart at any time. Look back on incredible memories! 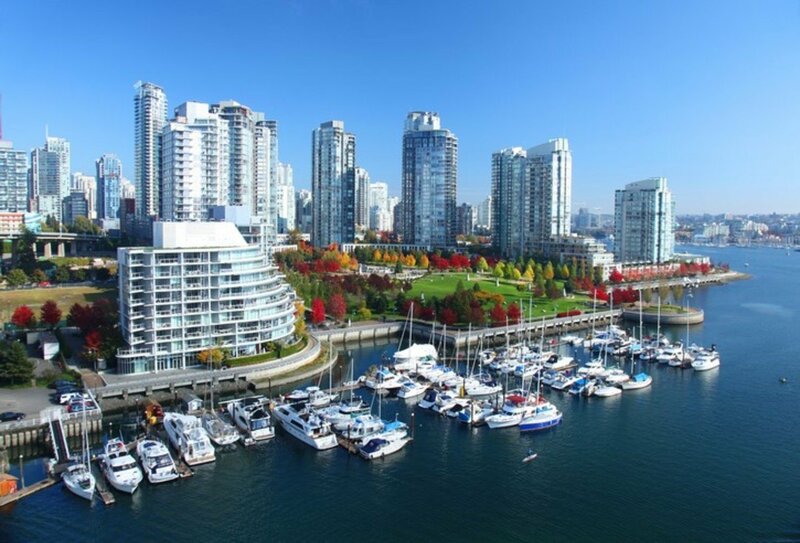 Please note: Due to the late arrival in Vancouver on the final day, we strongly recommend booking an extra night of accommodation and flying out the following day. If you must depart on day 14, you should not book a flight before 9pm. Please speak to a travel advisor for more details. Please note: The weather in the Canadian Rockies can be unpredictable, even in summer time, with snow and heavy rain always a possibility. Please ensure that you bring clothing and equipment for all weather conditions. This tour also runs in reverse. Please contact us for start dates. Take a taxi: The approximate fare to make the 20km journey into downtown Calgary is CAD40-45, plus tip. Travel by shared shuttle bus: A shuttle bus departs every half an hour, and you can purchase tickets at the airport (between 8am-12midnight) or pre-book them online. The approximate fare is CAD15, plus tip. All transportation is located on the Arrivals/Baggage Claim level at the airport. 13 nights’ accommodation are included on this trip. While camping, you will be provided with 2-person dome tents and camping equipment, although you should bring a proper sleeping bag and a travel pillow with you. Please ensure that your sleeping bag is rated to (-17°C for spring and autumn trips and 0°C for trips from June - Sept). Or you can purchase a sleeping bag on the first day of the trip for a cost of around USD40-60. 12 breakfasts, 11 lunches and 9 dinners are included on this tour. Please allow USD195-255 to cover the cost of meals which are not included. Breakfasts will be breads or cereals, lunches will usually be sandwiches or salads and evening meals will be hot and freshly-prepared. You will be expected to muck in with meal preparation and washing up, and your guide will arrange a rota for this while you are on the road. Vegetarian meals and other dietary requirements can be catered for if you let us know in advance of travel. You will need to be 18 in order to join this tour. This trip is designed for travellers aged 18-39. 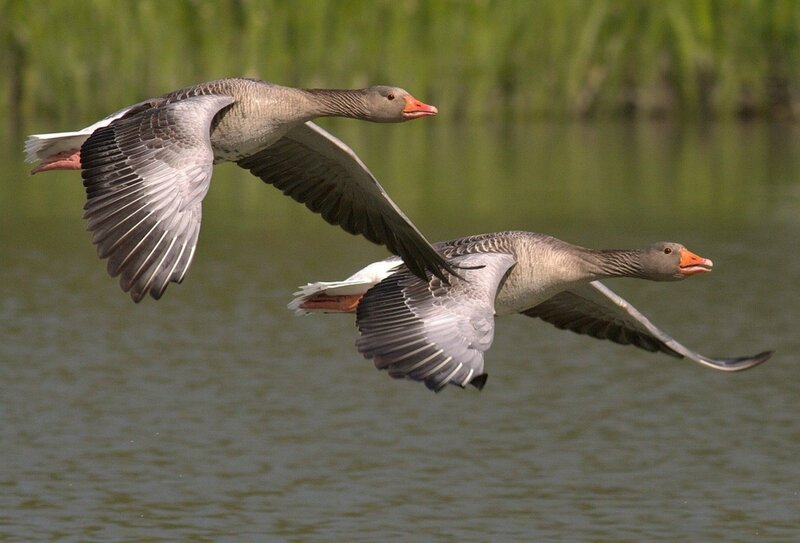 A reasonable level of fitness is required if you wish to take part in the hiking excursions. It is compulsory for all British nationals who travel into Canada by air to obtain an eTA (Electronic Travel Authorization) before they travel. Applications can be made online for a cost of CAD7. Most eTA applications are approved within a few minutes or hours of submission, although we recommend you apply well in advance in case of any unexpected delays in the process. An eTA is linked to your passport and allows you to stay in Canada for up to 6 months. Once you have an eTA it is valid for 5 years or until your passport expires (whichever is sooner). Physical Rating: Average. Some activities on this trip will require a moderate level of fitness.